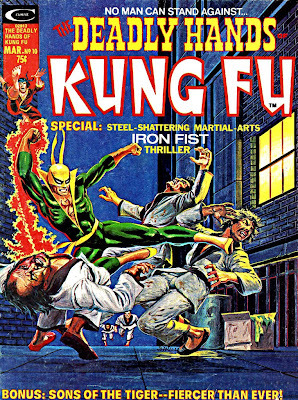 "...and ability to summon the awesome power of the fiery 'Iron Fist'..."
'Iron Fist' aka 'Danny Rand', a practitioner of martial arts was created by writer Roy Thomas and illustrator Gil Kane, debuting in "Marvel Premiere" #15 (May 1974). 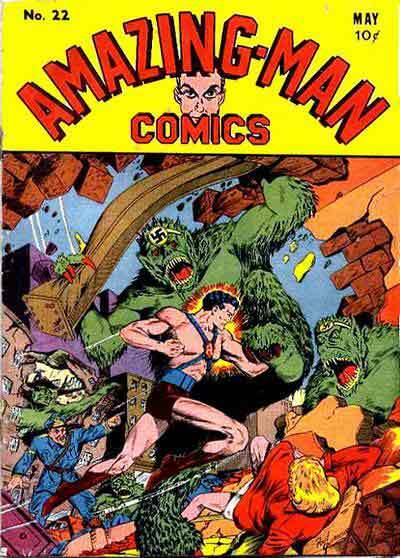 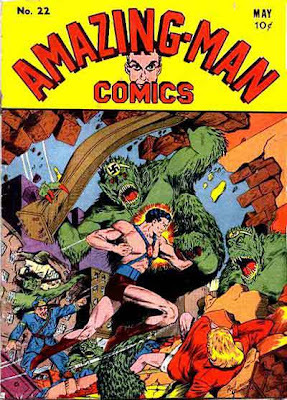 Co-creator Thomas said that the origins of Iron Fist owes much to "Sub-Mariner" creator Bill Everett's 1940's comic book superhero, "Amazing-Man". 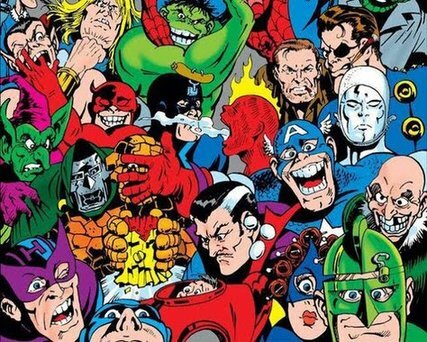 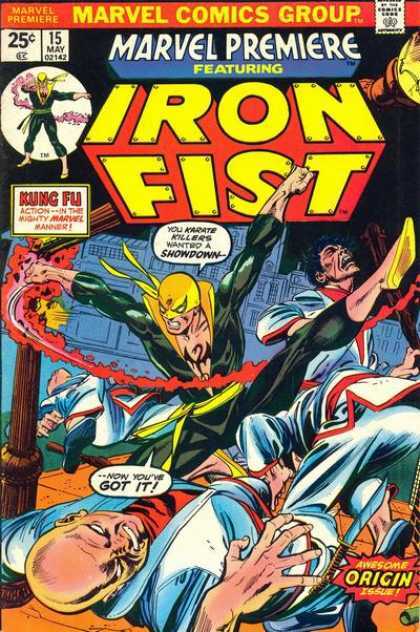 "I'd seen my first kung fu movie, even before a Bruce Lee one came out," said comics writer Thomas, "and it had a thing called 'the ceremony of the Iron Fist' in it." 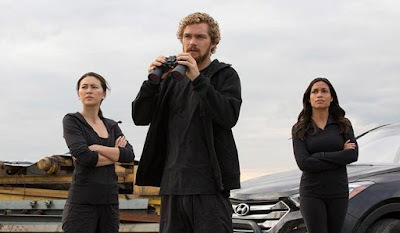 "I thought that was a good name, and we already had 'Master of Kung Fu' going, but I thought, 'Maybe a superhero called 'Iron Fist', even though we had 'Iron Man', would be a good idea'. 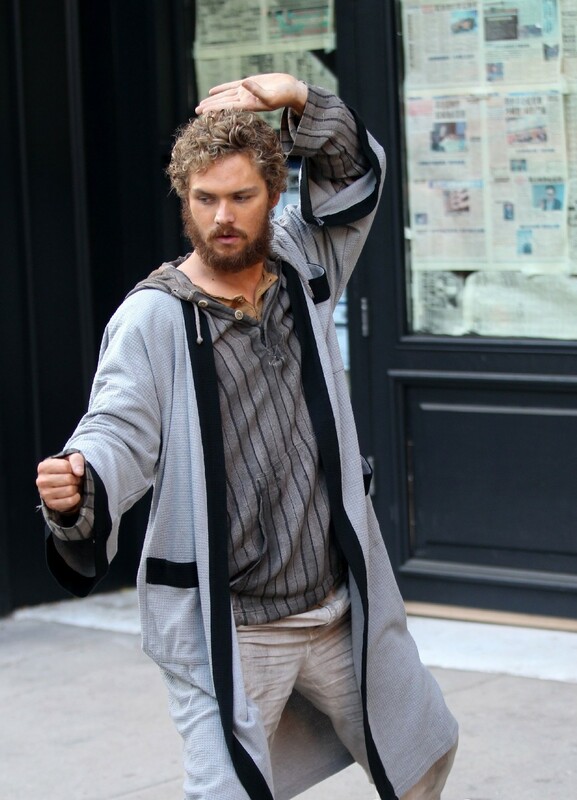 "Stan (Lee) liked the name, so I got hold of Gil and he brought in his 'Amazing Man' influences, and we designed the character together." "...by plunging his fists into the molten heart of the dragon 'Shou-Lao the Undying', the dragon's superhuman energy was infused into 'Danny Rand'. 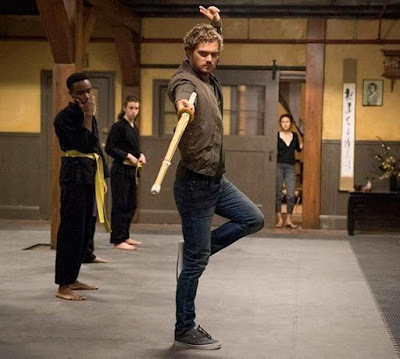 "...allowing him to summon and focus his chi (or natural energy), enhancing his natural abilities to extraordinary levels. 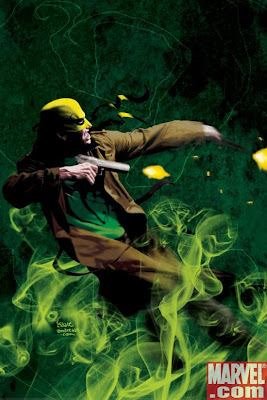 "The ultimate expression of this focus is the ability to concentrate his body's natural energies into his hand, manifesting as a supernatural glow around his clenched fist, making his fist 'like unto a thing of iron'. 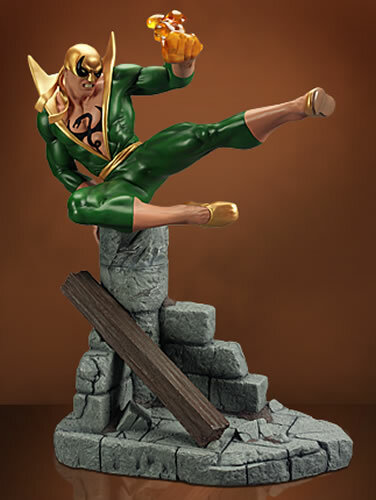 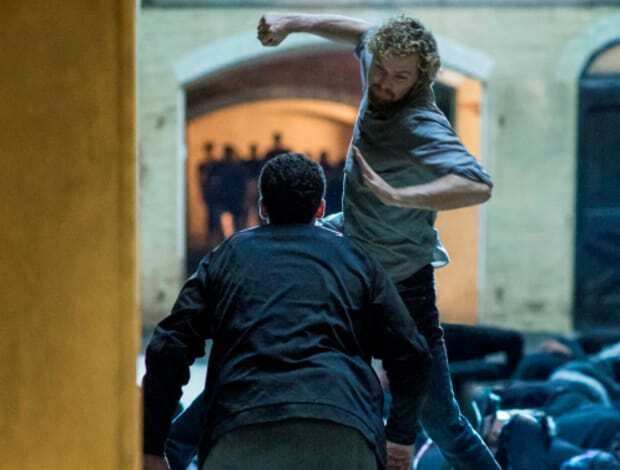 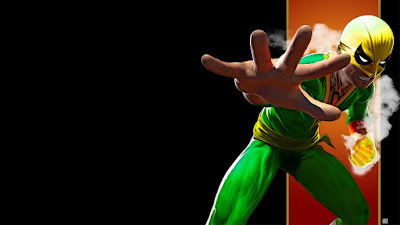 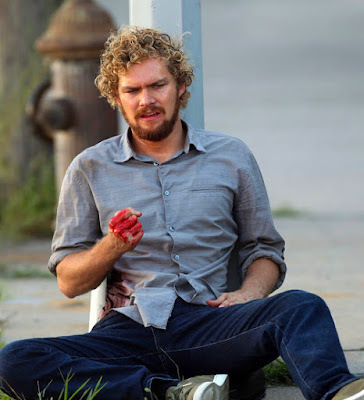 So concentrated, this 'iron fist' can smash into its target with superhuman hardness and impact, while his hand becomes impervious to pain and injury. 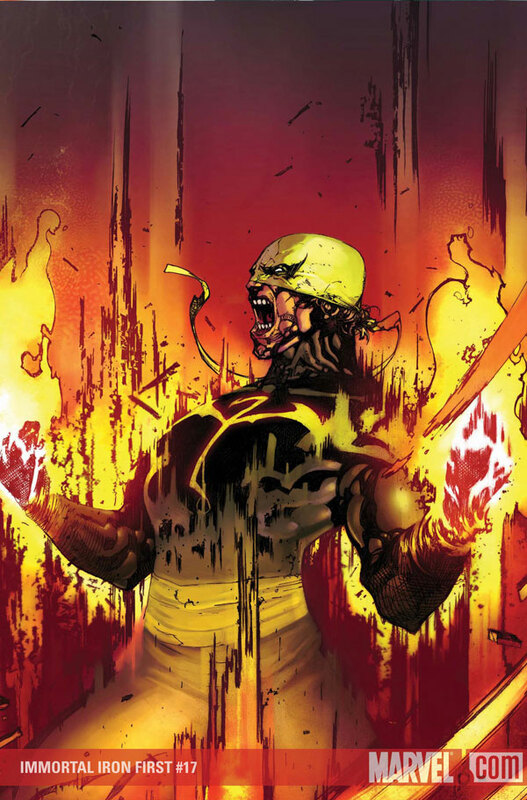 However, the feat of summoning the power required leaves Rand physically and mentally drained, unable to repeat the act for a time. "...as well as the ability to telepathically fuse his consciousness temporarily with another person and meld with that person's mind..."